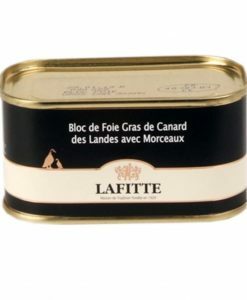 Goose foie gras entier Lafitte is made in Montaut (Landes) by Laffite, foie gras under the certificate of origin Canard a foie gras du Sud-Oest. 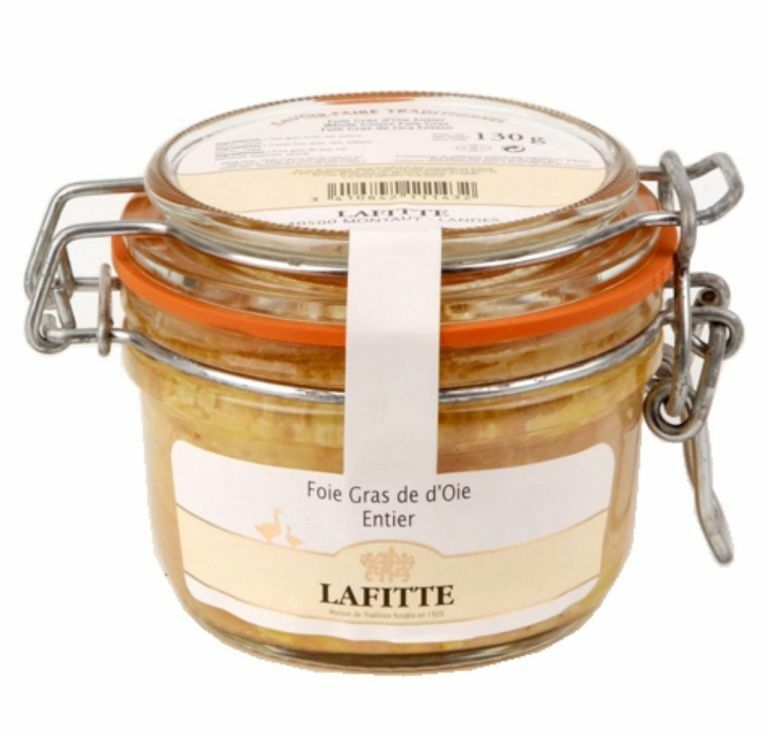 Goose foie gras made with entier goose liver, salt, sugar, black pepper and other spices without using preservatives or additives. 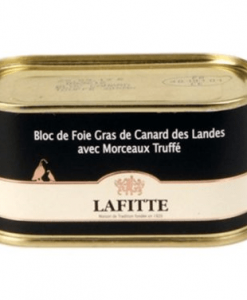 You can enjoy this goose foie gras with rustic bread or dried fruits toasted bread. 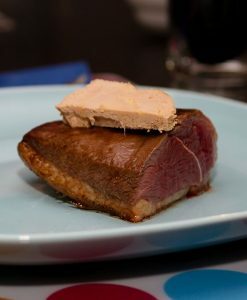 Sweet sherry wine can be a great accompaniment of goose foie gras entier. 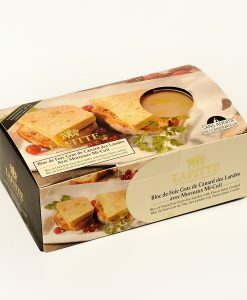 Buy this product to earn 40 Points for future purchases.